Check out our promotions to save you even more on your grass cutting! ​ Easy Mowing Lawn Care Services the Upper Dublin, Springfield, Horsham, Plymouth Whitemarsh, and Hatboro areas in Pennsylvania with quality professional lawn Care & Lawn Mowing services. Our primary goal is to make your yard look good! We are a newly formed residential & commercial lawn maintenance company located in Oreland Pennsylvania. We are insured and ready to get the job done for you. We encourage all new visitors to browse through Easy Mowing Lawn Care Website to learn more about us and the areas we service. Please visit our Lawn Care Services Page for more details about what lawn mowing yard maintenance services we have to offer you. 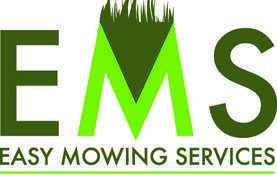 Easy Mowing Service specializes in offering affordable lawn cutting services. Contact us if you are interested in saving money and enjoying a great looking lawn. If you need additional services such as mulching, bed upkeep, shrub pruning, planting, and design, please don't hesitate to contact one of our representatives. ​We are 100% insured to protect you from loss! Save 10% per grass cutting when you and a neighbor sign on the same day! Free Estimates and Evaluation on Lawn Cutting Services in 24 Hours! "I am as Senior on a fixed budget. Easy Mowing took care of me and my grass cutting in an affordable manner. I saved $300.00 by using Easy Mowing Service this year. Ken was great to deal with and no issue was too small to discuss." "I live in a development in Dresher Pa. My Neighbor and I saved on our grass cutting service by getting together with Easy Mowing. I save money, they cut the lawn and are very easy to deal with." "Ken comes every week at the same time and makes my lawn look great. No surprises and very affordable. I also use them for shrub pruning and they even helped me get a tree removed during the ice storm last year. They know their stuff."